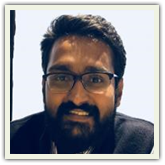 Meet the Godrej PRmoment India 30 under 30, 2018! These winners have gone through a rigorous jury process. There was a sharp rise in the number of video entries, double from last year, showing that our young Indian PR professionals are embracing video with enthusiasm. There was also an increased number of entries from corporate communications professionals, mainly from the hospitality and financial sector. The 2018 list also has our first winner from an influencer marketing firm. The PR for PR section, introduced to elicit our 3030 applicant’s understanding and vision of PR, saw some truly remarkable entries. We have to make a special mention of an entire game designed by one of the applicants to show the potential of PR. The quality of entries shows that the future of PR is truly bright with some exceptional talent entering the PR market every year. So here it is the Godrej PRmoment India 30 under 30 last for 2018. Congratulations to all the winners! Would also to express our thanks to Godrej for supporting the 3030 initiative for emerging PR talent as well to the distingished jury members who gave their time and support to vet the entries to ensure a fair and transparent process. On behalf of the entire jury panel, let me congratulate you on being selected and featured on the Godrej PRmoment ‘30 under 30’ list! As young stars of the Indian PR industry, you now have an additional responsibility of further enhancing the image of our industry. The time is now and you shall be able to do so by doing some cutting edge work and campaigns that will make the industry sit up and take notice! I am sure with your intellect and talent, you shall raise the bar of PR in India! This year we received 145 entries from across the country. While most of the entries were from consultancies, there has been a significant rise in the number from in-house professionals. The aspect that charmed me the most was the effective use of videos, infographics and creative means to bring out the essence of respective entries. The “PR for PR” section was absolutely gratifying and the thoughts presented are really awesome! Keep up the good work and be proud of your achievement! I wish you the best and look forward to meeting and learning from each one of you, very soon! 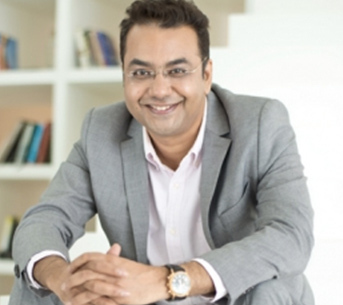 As the youngest partner associate at Genesis Burson-Marsteller, Aakash Aggarwal has clocked work in a variety of sectors: from public policy campaigns to beverages and children’s television. He headed a campaign for a leading private university. The mandate? To help raise funds for the university and make humanities as cool as science and IT. Aggarwal shares that the campaign was strongly focused on PR and did not have an advertising or social media component. Today, the university in question is a well established liberal arts centre. Clearly a Bollywood buff, Aakash has an interesting take on how to demonstrate the power of PR through Bollywood film plots. Then, of course, we won’t have most Bollywood pics! “Mohan Bhargava [Shahrukh Khan) must choose between his fancy employer and his roots. Why? An established NASA scientist must struggle and cough up funds to buy equipment for a small village. Why? If only he had the right PR team, he could have created an award-winning cause related PR campaign with an objective to raise funds. Combine the fact that electrification of rural India is a key goal for the government and an articulate and successful engineer (who has the looks of Shahrukh Khan), and add some TV interviews, some viral social media campaigns and an awareness campaign in villages — you will have a winner! " She has a masters in development studies from the very prestigious 'London School of Economics and Political Science'. 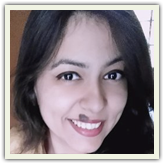 A degree Anchal Dhar has put to good use in her work that ranges from writing narratives on current issues for the comedy collective AIB, to large scale campaigns for MSD for Mothers ( On maternal health). The former Indian Express journalist, has also had her narratives end up as full fledged satires, like this one by AIB on a topic close to the urban Indian’s heart: air pollution! So how did this aviation ‘plane’ crazy geek end up in the mad, bad world of PR? Ajit Fernandes says this is why, “My childhood was either spent reading about planes, or just reading…and that’s where I developed these two all-consuming passions! One thing led to another and I eventually found my way into Weber Shandwick, working on aviation projects! 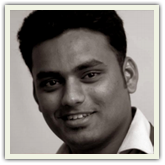 Ajit worked extensively on content led campaigns for aerospace firms. His senior colleagues have this to say about him. Food features! 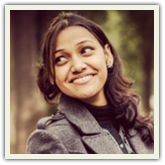 Akshita Agrawal is a member of her company’s ‘Social Innovation’ team, her responsibilities involve strategic projects to safeguard client reputation. 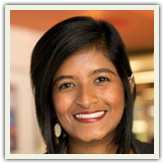 As a result, Akshita has spearheaded projects that take a 360 degree approach to public relations including strategic media relations, stakeholder outreach, digital engagement, and content and creatives. 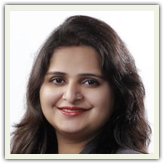 In addition, she has been working as a part of the core group in facilitating internal initiatives-from learning & development to systems and processes for employee engagement at ‘The PRactice ‘. She has worked on the very challenging topic of GM seeds and fro help raise raise funds for 'Smile Train'. This Kolkatta and Jamshedpur girl is a beauty blogger and PR strategist. 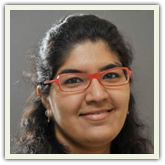 So, while penning pieces on how to do Valentine’s Day on a budget, Antara Nandy, as part of PwC India, she strategises and executes media activities for their experts of the Government Reforms and Infrastructure Development (GRID) practice . Antara additionally leads the media and internal communication activities in the eastern region and Bangladesh. She also managed to win back a client who had lost faith in her previous PR firm, during her PR consultancy stint. 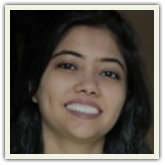 Arsheen Kamboj Jain, 29, principal consultant, Integral Advisory Services Pvt. 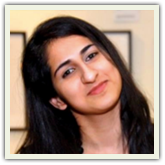 Ltd.
"Of all the twitter accounts around the world, you log onto mine," declares Arsheen Kamboj Jain’s quick bio on her Twitter handle! 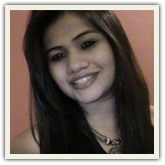 The Godrej PRmoment India 3030 jury agrees that Arsheen’s profile was worth logging into and placing in the top 30! A foodie, an animal lover and a travel buff, Arsheen has worked on campaigns ranging from fitness platforms to mobile apps. She has also handled the influencer campaign to highlight in-flight experience for Emirates Airline in India. The aim was to promote Emirates as a sustained option for both long haul and short haul flights and fight the perception about middle-east airlines. To popularise PR, Arsheen created this video as an example of how PR can create videos like the hilarious Pammi aunty videos to showcase PR. What strikes you first about Arshiya Ahmad is her creativity. 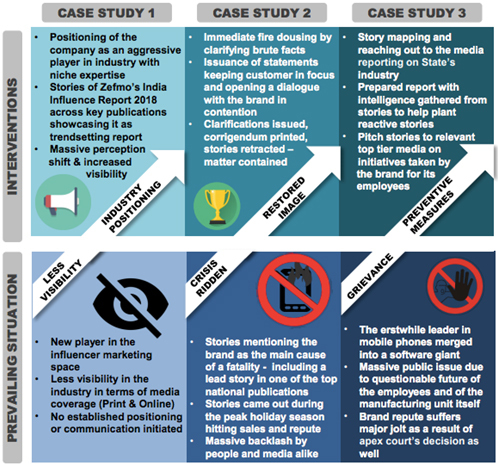 An entry form is transformed into a PR specific narration, complete with her key achievements highlighted in the form of a press release with plenty of supportive infographics. To quote her ‘press release,' “In June 2017, due to unforeseen circumstances, her team was unavailable but Arshiya single-handedly planned and executed media activities for Philips Lighting’s global chief strategy officer. 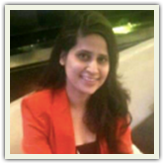 “Arshiya Ahmad is a very passionate public relations professional. Her clear and concise media pitches reflect her understanding of the brand she services (Philips Lighting) as well as of the lighting and energy sector at large. I appreciate her understanding of how journalists work and articles worthy of conversion. She doesn't push for an article, where it's not merited. 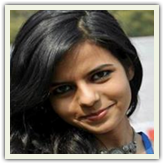 Given her exceptional qualities, Arshiya is a very promising PR professional." 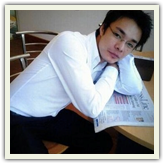 Bhushan Astulkar, 29, account head, Ideosphere Consulting Pvt. Ltd.
A fitness aficionado, Pune based Bhushan Astulkar, has helped create a breakfast platform, ‘Sustainability for Breakfast,' which was eventually partnered by Tata Motors, helped with the brand entry of Kimaya TPN (Total Parenteral Nutrition), a mobile app that helps with nutrition for premature babies and CodeCuriosity, a platform for open source programmers. 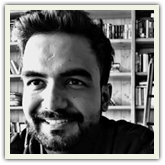 A passionate tiger conservationist, Chavi Taneja had the opportunity to work on the Paytm account in it’s days of early consumer adoption. 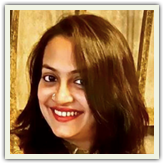 She has also worked on a wide variety of campaigns ranging from Saavn’s ‘One in a millennial ‘ positioning to popularise the audio streaming site with users and OLX Mother’s Day Campaign – ‘Every Mother Counts’, that focused on disadvantaged mothers. For OLX, the campaign covered 40 slum clusters in the city. A tennis lover, a PR strategist and a book junkie. Just some of the things about Yamini Reddy, PR pro extraordinaire. Her clearly written profile outlines work with Prione, a startup supporting SMBs in the e-commerce space and Sun Mobility, an electric mobility solution firms in the swappable battery space. Objective: Ensure all Amadeus employees, understand the implications of sexual harassment and go through the training program. Challenge: How do you educate and create conversations on a sensitive topic through a formal communication channel: emails. My Role: I helped write the content and worked with the design team to create a whole campaign around Prevention of Sexual Harassment (POSH). Outcome: Quirky communication that used IT lingo, to educate the employees on the implications of POSH and why it's important to have a safe work environment. We conveyed this through a series of internal mailers using language these tech geeks will understand which resulted in high training completion numbers. Uniqueness: Digestible content that used humour to educate its audience about a sensitive topic people don’t like talking about. A self confessed sophophile, Davis Kangjam has put his love for learning to good use in his communications job. An ardent ambassador of home state Manipur, Davis includes among his milestones the successful creation of an influencer marketing survey, the handling of a crisis involving an exploding mobile handset, and an employee crisis with protecting factory workers at a hand held device factory. 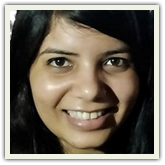 Just as a Harry Potter wand chooses the wizard, Divya Tejnani believes financial PR chose her. 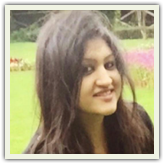 Exposed to the world of financial PR in the first two years of her PR nov, Divya has learnt to speak the financial language. One of her most interesting media experiences was with a story around insurance and Bahubali 2. At a time when anything Bahubali was selling, Divya was faced with a disinterested insurance media. She quickly pivoted and sold the story to entertainment reporters instead. The outcome? An all-edition four-column story on Future Generali insuring Bahubali 2 and the trends seen in movie insurance in 'The Hindu Business Line'. 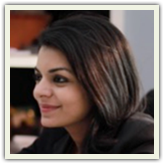 With a master’s degree in public policy and a certificate in digital media from the leading NUS, Singapore, Himani Rautela provides reputation counsel to a wide range of clients. Among her break out campaigns have been around CRY, Child Rights and You. While, awareness about the CRY brand name was high, there was a perception problem about what CRY actually does in the area of child rights. Himani worked hard to create opinions from CRY around children’s safety after the gruesome Ryan’s International School murder case and also pointed to narratives about allocation for children’s safety in the 'Annual Union Budget'. This resulted in Op-Ed pieces for CRY, a goal that Himani says CRY had wanted to achieve for a while. 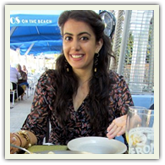 Hurlene Kharbanda credits two S’s: Shaadi and Starbucks for some of her outstanding work achievements. Hurlene also worked on the highly successful campaign to make Marriott a designation for the Big Fat Indian Shaadi. The event even trended organically on Twitter! 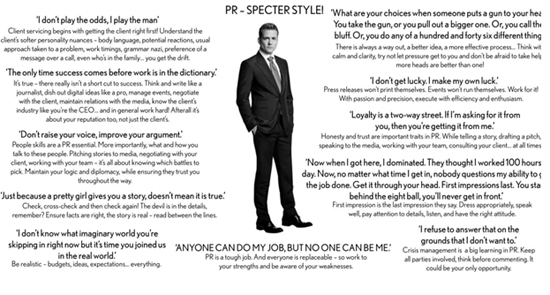 Hurlene believes a PR pro is like Spiderman with superpowers. So what can one do with these superpowers. Hurleen suggests unveiling PR superpowers by using #PRTurnsSuperHero — a future focused campaign to drive PR for PR and build it into a mainstream function for brands, key stakeholders and the public at large. 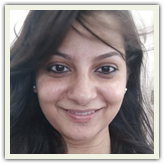 Karishma Desai was responsible for introducing the PR and internal communications functions at iProspect India , a digital marketing agency from the Dentsu Aegis Network stable. In 2017, this role later expanded to include marketing. 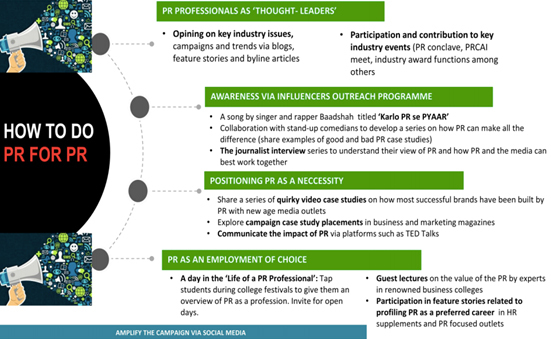 Here is her fascinating take on PR for PR! Tech enthusiast, Megha Behl, landed in her new job just as the account team of a major consumer electronics team was being shuffled. This put the responsibility on Megha to not only handle the client during the all important contract renewal period but also handled the pitching for another new client in the photography hardware space. Due to an updated PR strategy, Megha was able to win a retainer for the photography client. The consumer electronics client also renewed the contract for another 3 years! A sarcastic and grumpy, cartoon cat led to one of Michelle Sethi’s biggest PR successes. Yes, it’s a campaign for the lasagna loving, spider hating Garfield themed clothes collection, ‘ ONLYxGarfield that Michelle successfully managed. Michelle reached out to Bollywood stylists to help access Bollywood stars like Alia Bhatt and Shilpa Shetty to model the clothes. As a result the collection was sold out. She has also worked on a pro bono CSR campaigns for St. Jude’s India to raise awareness for children living with cancer. The campaign included a tie up for music therapy with Bret Lee’s philanthropy arm in India, Mewsic. And here is a glimpse of her fascinating presentation on why PR is like Tinder! In her 4 years as a PR entrepreneur, Naina Aggarwal has serviced clients as diverse as bigbasket.com and Deepika Padukone’s The Live Love Laugh Foundation. 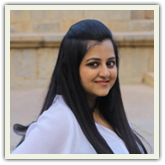 Over the past two years, Naina Aggarwal has worked with ‘The Live Love Laugh Foundation’, closely to raise awareness about the need to dispel common myths about mental health disorders in India. 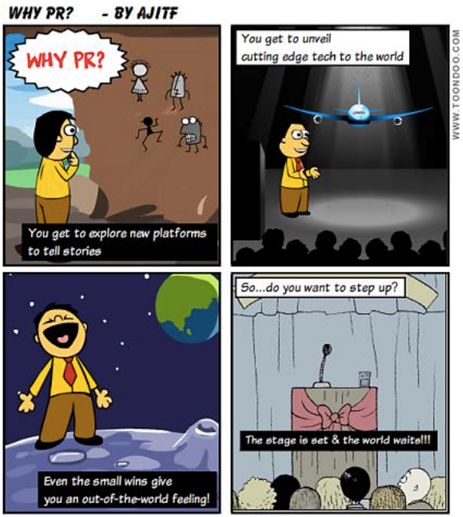 Naina put together this cool film to talk about why PR matters. Don’t forget to check out the crazy credits! This Bollywood heroines’ super-fan, has handled campaigns as diverse as ‘Resurgent Rajasthan’, and Shell #makethefuture campaign. For Shell, Puja Bedwal’s integrated and experiential approach to highlight energy innovation resulted in Shell adding 2,000 followers on Twitter. The #makethefuture also trended nationally at top spot on Twitter and remained in trending topics list for several hours. The campaign also managed tweets from influential accounts, such as @dpradhanbjp (Indian Minister for Petroleum and Natural Gas). 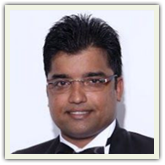 P rachi Sinha has handled accounts such as LinkedIn, Smile Group and NIIT Technologies. 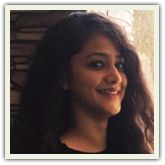 For Smile, Prachi led the PR rearranging exercise, interacting with marketing teams for the activation of marketing communications plans for several brands under Smile. 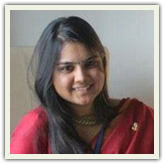 A theatre buff, a former Delhi cricketer, Sesha Ramakant Bansal, a MICA certified digital marketeer, uses her considerable skills in communications and public affairs to handle challenging assignments in the telecom, defence and social media platform space. A specialist in advocacy, public affairs and crisis communications, Sesha has worked on helping normally conservative firms to explore PR beyond media relations. What does ‘ Fifty Shades of Grey,' got to do with a PR strategy? Quite a lot it seems. Using ideas from the title and from Sabyasachi’s grey bridal collection, Shreya Dutt managed to arrange for photosets inspired by these motifs for Greenlam Industries. As a result, grey laminates ended up getting featured in fashion and lifestyle mags, moving away from the usual trade coverage. For another campaign for Red FM radio, Shreya helped to make the very poplar Pothole Rap by RJ Malishka aka Mumbai Ki Rani viral. This rap song targeted BMC and Mumbai potholes. Shreya handled the fallout of this as a miffed BMC tried to hit back with notices. 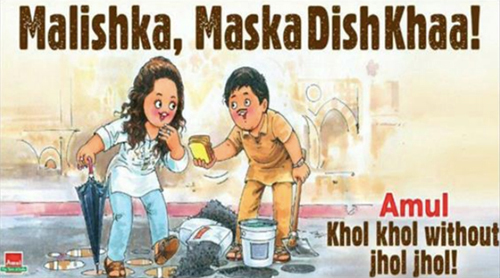 The campaign worked so well that it even ended up on the iconic Amul billboard! Shreya Mehta needs no introduction. Expect perhaps this! So when an entry form kicks off like this, you know you are looking at a kickass profile. Two months into her new job at Creation, the manager quit and Shreya became the person of contact for three complex accounts: Twitter, TEDx Delhi and Canon for corporate. She delivered outstanding results for these clients. For Canon for example, says Shreya, backed with consistent PR efforts, the brand conversations gained momentum and Canon clocked a double digit growth for 2017. 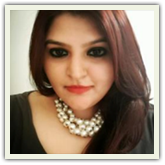 At a relatively early stage in her career, Shruti Sah has handled national PR campaigns for clients such as TCS, Lava and Nikon. 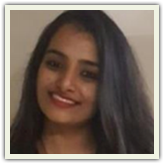 For Lava, Shruti faced the challenge of establishing that Lava is very much a domestic manufacturer of mobile handsets, inspite of having a product testing centre in China. For this, media trips were planned for the firm’s R&D centre in China which resulted in a more positive perception about Lava among the media there months later. She has the jury at PR Games! More on that in a bit. 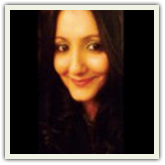 Simone Fernandes is an avid foodie, who effortlessly mixes in digital solutions for PR clients. 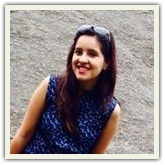 She has worked with Nearbuy, a Groupon firm, Zee Zindagi and Radio Mirchi. This cricket and chocolate lover, in that order, has worked with the PR handling the rebranding of the well known Cyber Hub to Cyber Hub 2.0. For this, Somali Bajpai, took care of 'The Food Maze' event which witnessed an engagement of 100 bloggers across domains such as food, travel, fashion and lifestyle to promote the launch. Somali designed and circulated a unique google link in order to create a database for the influencers of the city. The list was used to filter the relevant bloggers who were invited for the event. For DLF’s Mall of India’s dessert festival, ‘Sugar Rush,' Somali suggested creating media invites via hampers consisting of childhood favourites like Kismi bar, Mango Bite, and Phantom sugar cigarettes in order to evoke feelings of nostalgia and instant sugar rush. A self-confessed political pundit, Suhas Tadas, lead an integrated campaign for the 'Systematic Voter Education and enrolment Program (SVEEP) 'for 'Municipal Corporation of Gurugram'. Here are some quick facts about Sukesh Kumar. He is a tech enthusiast and a passionate PS 4 advocate. Quite obviously he loves video games. And most importantly, unlike Joey he does share food! Among well received campaigns for government policy bodies, one of Sukesh’s most interesting campaigns was about a #FreeCondom Store. In her 4 years with Value 360 Communications, she has worked in domains such as education, startups, e-Commerce (B2B and B2C), Edtech, travel, art and entertainment . 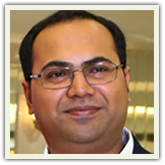 My first client at Value 360, MDI Gurgaon had only one requirement — to stand with top IIMs of India. In the third year of the brand with the team, media now really didn’t care if IIMs were part of the story. If it was MDI Gurgaon, it would lead the story. From a ‘no one’ to becoming a brand leading the story. ‘Power’ful Girls and PR. Dreaming and auto expos. 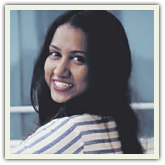 Internal communications and motorcycle themed clothes and accessories, Tanishtha Kaura, has a truly wide ranging working life. An entrant into PR armed with an education in journalism, a call for interning for Avian Media has led her firmly into the world of PR. To know more about her and why deserves to be in top 30, do watch this PowerPuff girls video! Our congratulations for all our 30 Under 30 winners.